In this guide, I’ll explain how to disassemble Acer Aspire E15 E5-571G to remove and replace the battery, hard drive, keyboard, palm rest, WALN, RAM, cooling fan, speaker, and motherboard. Refer to the guide. You can upgrade, clean your Aspire E15 E5-571G. Remove all screws from the bottom case. Pull out the optical drive, but I found it is not a real optical drive, it’s a bracket just like DVD drive. I do not understand why Acer does not install a real optical drive. Turn over the laptop, starting to pry up the palm rest with a guitar pick. Insert the guitar picks between the palm rest and base. Open the palm rest, be careful, touchpad cable still connected to the motherboard. Disconnect the touchpad cable. The back of the palm rest, you can get access to the touchpad and keyboard, you can remove and replace the keyboard if necessary. Under the palm rest, you can get access to the hard drive, wireless card and cooling fan. Disconnect the white cable, remove two screws securing the hard drive module, you can remove the hard drive module. Disconnect two wireless antenna cables and remove one screw securing the wireless card. The wireless card model: T77H436.03 HL. Remove two screws securing the cooling fan and disconnect the cooling fan cable. Aspire E15 E5-571G cooling fan comes from Foxconn. Acer Aspire E5-571G motherboard, the laptop has two RAM slots, that’s mean you can upgrade the RAM. It comes with a Kingston 4GB PC3L-12800S RAM. 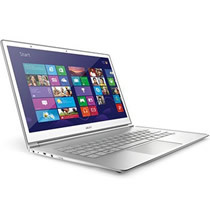 For more guides, check out the Acer Aspire E5-571G device page. How did you open the palm rest? It’s stuck. Thank you so much for posting this. I was thinking of upgrading the RAM in this and I was going batty trying to figure out how in the world you were supposed to get this thing apart. I also have to agree out the DVD drive thing, unless it was left out to make this computer even less expensive than it already is. Personally, I can count on one hand how many times in the past 3 years I have had to use a DVD drive. My father uses it more because he watches Blu-Ray’s. Also how did you remove the touchpad cable? Was it from the motherboard or keyboard? All cables are removed from the motherboard end. If I am understanding your guide and photos correctly… the RAm slots are on the bottom of the motherboard, and there is no way to access them from the bottom of the computer, one has to physically remove the motherboard ntirely in order to access them. Correct? Yes, the memory is on the bottom of the board and the only way to get to it is to remove the whole mobo. Acer unfortunately did not provide access from the bottom of the laptop. Anyone suggest an optical drive? Would that fit David? Thanks! I’m worried. I don’t see it listed as 9.5mm anywhere. My biggest concern is no tab on the back of the drive to secure it into the laptop. Hi David, Thanks for this great disassembly guide. Did you see any way to mount the optical drive to the laptop and to plug it in? we have no mounting bracket for e5-571g, you can try to contact acer. I tried a know working 4gb Kingston 1.5V stick of memory and Windows can’t see it. CPU-Z can see all 8gb, but not the OS. I suggest you have DDR3L (1.35V) for the upgrade since it is a real pain to access and try different sticks. Looks like David used DDR3L in his upgrade (per the pic provided). This is a key point – i had the same issue – CPU-z could see it and noticed the slot 1 at 1.35 v and slot 2 at 1.5v – needless to say the memory in slot 2 was not recognised by the BIOS nor Windows – make sure you get DDR3L – “L” for lower voltage 1.35. Ps – thanks for these clear pictures. Are there any warranty seals which get damaged when the case is opened? None that I saw. It actually comes apart pretty easily. I’am also having difficulties opening the palm rest. I am scared of using too much force, and I just cannot open it. Are the special places where i have to apply force or hooks I have to take care of first. The keyboard snaps into place onto the base. After removing all the screws from the bottom and removing the dvd drive, you need to pry the keyboard from the base. Pull them apart and where there is an opening insert a wedge (I used a butter knife) and pry gently. You will here the snaps as it dislodges. Do this around the perimeter and the keyboard will come loose. Then there are three ribbon cables (touchpad, keyboard, power switch) which need to be disconnected at the motherboard to free the keyboard. These ribbon cables do not have connectors, just wiggle them as you gently pull away from where they are inserted into the motherboard and they will come free. Ok If I just need to pull them out gently, how can I connect them back? Are there any warranty seals which get damaged when the case is opened? i bought this lap yesterday but i’m very angry with Acer. Why Acer did this system ? For change or upgrade ram dismantle all laptop -_- I’m undecided whether to bring back the laptop to the shop!! This might be a noob question, but my acer e15 – 521 model has 6GB of memory, could I add an 8GB RAM on top of this, or would I need to match the RAM with another 6GB stick? Thanks in advance. If anyone knows of a model that will work, that is much appreciated too. Dylan, there is no 6gb stick. You most likely have a 4gb and 2gb for a total of 6gb. You can remove the 2gb and add a 4gb for a total of 8gb. Or, remove both and get a 2x8gb set for a total of 16gb! Thanks for the reply; this won’t necessarily help me play games, though, right–just having a lot of applications open? (I can only play empire: total war on the lowest graphics settings atm). How did you remove the battery? I’ve been looking for a user’s manual online, but the acer site doesn’t have it. 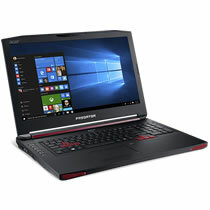 i am wondering if it is possible to upgrade the graphics card on this laptop or can you only upgrade ram? Thanks for this overview. Question for you. My wife spilled a beer on the keyboard of this laptop and now a few keys don’t respond. I’m having a hard time finding a replacement online. Any clues on a place to buy one or at least the part number? Hi, firstly I would like to say thank you for the article. How many drives could this support? Could I add a SSD drive in addition to the SATA? Would this require any special mounting hardware or would a 2.5 SSD fit in that spot in the stand? I’ve just ordered one of these and am trying to figure out what I’ll need to upgrade it. I bought one of these a while back with 8 gb of ram and I happen to have a 2gb ram stick laying around, my question is did it come with one 8 gb ram stick or two 4gb sticks, im attempting to add 2 gb ram to my laptop if the other slot is empty for a total of 10 gb of ram. Nice article, now able to pull my Aspire apart and re-assemble. Unfortunately I have the same problem as Eric above, spilt some juice on the keyboard and now quite a few keys don’t work. Your article didn’t go into detail on removing the actual keys, but rather the top including the keyboard and touchpad as a whole. Can the keyboard alone be removed and cleaned or as Eric said can it be replaced? Hi, i wanna upgrade with a second SSD with an universal 2.5” caddy. My doubt is, should i buy 9.5mm or 12.7mm one? Nice workshop, that helps ! Hi, would like to inquire regarding the batter. how do you remove the battery? or rather is the battery removable? Thank for the guideline. Acer was “smart” to make its users happy on how this model is constructed. My HDD is faulty in 1 month of usage. Acer, farewell this will be my last item I bought from you. Han, time to wake up: Every so often, you will get a bad hard drive that passes production tests but dies within a few weeks or months under regular usage. Just contact Acer and RETURN THE LAPTOP, instead of whining about it on here. What a great disassembly guide. I was able to upgrade to 8gb memory, which this computer needs especially with external monitors. One piece of advice: don’t forget to flip up the little ribbon cable clamps on the hard drive, video and touchpad ribbon cables and then lock them back down on reassembly. The keyboard ribbon cable didn’t have a clamp I could find. To those of you who have ruined keyboards from liquid spills, I’m going to suggest using an external keyboard as a replacement. I replaced a keyboard on a similar model asus where the key labels had rubbed off. These asus computers with chiclet keyboards have the keyboard permanently locked to the palm rest. You have to break a LOT of plastic and even bend some metal to pry them out. Then, there’s no way to put a keyboard back in like it was when you swap it out. I had to use a lot of tricks, shims and donor plastic to get the new keyboard to more-or-less stay in place. (These chiclet keyboards have to be real tight up against the palm rest or the keys sink below the plastic frame.) If you are going to throw the computer away if you can’t fix the keyboard, then I guess it’s worth a try. Otherwise, an external wireless keyboard would put your computer back in service on a desk at least. Buying the palm rest/keyboard/touchpad assembly is pretty pricey, but that’s the other way you could do it. Might be almost as cheap to buy a new computer. hello, please how can i do to reset the bios on this motherboard? Is it possible to replace my HDD with a SDD in my Acer e5-571p-55tl? I am wondering whether it is because I might have accidentally damaged the main connector or rather because of the two soft sticky connectors (on sticky tape) which were tightly sticked to the back of original keyboard. I gently reattached them and did tape on the surface of the new keyboard. -I have a E5-571-50hj. Is that the same as the 571G? -I woud like to install my ssd as my primary hard drive and use the normal hard drive as my secondary harddrive. Therefor, I would like to install this secondary hard drive on the place of the dvd drive bracket. Looks like a solution to me…. I have attempted to add an SSD in the DVD drive slot but failed. Basically I put the SSD in the dvd slot, cloned it using Samsung software then tried to boot from it (as the G:), this won’t work and my subsequent messing means I now have to reinstall windows. Apparently though once you’ve cloned to the SSD you should replace the original HDD with the SSD (so it is seen as the C:), check if it all boots up and then you can put the old HDD in the DVD slot and use it as an extra drive. Hello Ant, thanks for replying! What you write in your last lines is exactly what I want to do. I am just wondering if it is possible. I found some hdd caddy’s which can hold your regular hdd. This is the caddy I bought, think it came from abroad and took a couple of weeks but it works fine. Thanks. I am wondering how such a caddy can be universal. Size and shape is not universal for every notebook I assume. I would like to make sure it fits and works in my specific E5-571-50hj. I have bought the caddy you mentioned. I found out that I do not have a front plate for this caddy that matches with my e5-571-50hj. How did you solve this? One more question. The guide simply says “open the palm rest”. I cannot get mine separated from the laptop. My front (near the mousepad) stays where it is. And of course I do not want to break or damage anything. All the screws on the back are removed. My battery is out and my dvd Bay is empty. How can I get my palm rest open so I can install my ssd? Simple answer… you shouldn’t need to remove it. There’s a wire or two over the top off the HDD that need to be removed carefully and put back when the SSD is in it’s place. Sorry, I misread, thought you were already inside the laptop. It should all just pop off (with a bit of force the first time) if all the underside screws are out. I managed to install my ssd now. Although getting the top plate with the keyboard separated costs a lot of effort and also damage to the top plate. I did not just “pop off” after I removed the screws. I had to use some force and a plastic tool to get the top plate separated. And by doing this, all those plastic pieces holding the top plate secured to the notebook case, broke. So when I put everything back in its place, I had some damages on my case and the plastic pieces were not functioning anymore as they broke. Now only the screws keep the keyboard/top plate secured to the notebook case. Regarding your front plate for the caddy. You should just be able to take the one off your old CD\DVD mount and put it on the mount. Thanks Ant for replying to my latest post. I have no cd/dvd mount. The disassembly guide shows the optical drive bracket which came with my notebook. It has no detachable face plate. I now have the caddy which I can install and secure with a screw, but without a face plate that fits and matches my notebook. Buying a different caddy is more expensive than buying an usb 3.0 external hdd case. Therefore, I think I will buy this usb case and use my hdd as an external hdd drive. Do you happen to know whether it is possible to purchase a replacement MB for this Acer Aspire (E5 571PG)? I have tried many approaches to resolving the startup issues but none has been successful. I was able to get to the recovery screen once and selected a factory restore but as soon as the system restarted in returns to a blank screen (very lightly flashing if you look closely) and then the Acer logo (with no spinning circle) and then back to the lightly flashing, back to the Acer logo etc. Have tried F2, Alt F10, Alt Esc, Power Resest, removing the battery and power source for a long period of time etc… nothing has been successful. Did you try pressing the (Fn) key and (F6) key to toggle the display (External vs Internal). I would also try an HDMI cable to TV while experimenting with another display to determine if the problem is the display or the display driver causing the problem. Do you need a dvd at all? In order to be accidentally able to play dvd’s, I purchased an external DVD drive (usb 2 is fine). I think I have used it 3 or 5 times now since I purchased my notebook last August. My advice is to do the same. It is easier and I believe it is also much cheaper (and the notebook is much more quiet because the dvd drive doesn’t spin up everytime). In the middle of the 7.th picture there’s an empty connector on the board (left from the dvd tray) Is that an connector for m.2 ssds? There is no M.2 slot on Aspire E15 E5-571G motherboard. Is there a bios masterkey to unlock it if you forgot the password. And if so – what is it? You just need to open the laptop and remove the bios battery, the password will disabled. 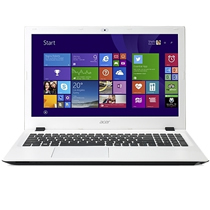 Hey guys i am about to purchase a acer laptop. A similar model to this one. This one doesnt have a disk drive. But has the space for it. So can i add a hdd caddy to add a ssd or hdd in that space? Or do i have to buy the one with the optical drive to do so? I have upgraded the RAM on my Acer Aspire E15 (E5-521-264R) and am now running 10 gB. Everything installation wise went smooth but now it won’t run on the battery and only works while plugged in. Any suggestions as to what I’ve accidentally done? You can search it on ebay. For those who have upgraded the RAM from the original 4G, how did its performance change? My Acer E5-571 with 4G and Windows 10 has no problems, but it just feels slow to open files, start programs, navigate directories, everything seems sluggish, and I’m wondering if more RAM will make it feel snappier. hello, i have the same specs laptop and it is now subject for repair, need to replace the charger port i think, it was shortcircuited. do you have any part for that, that is for sale? Is there an M.2 SSD slot in this laptop?